Diane@Diane's Place is the winner of the $5 Starbucks card. Lucky girl. I bet she's going to use it to thaw out from the ice storm that hit her area last week! Congrats, Diane. Email me with your info and I'll mail it on Monday. 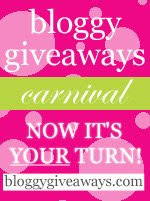 I wasn't going to participate in the Bloggy Giveaway Carnival this time, but I just talked myself into it. Who wants to win a $5 Starbucks card? Leave me a comment and tell me what your favorite drink from Starbucks is. I'll close comments and draw a winner on Saturday, January 31 at 9AM MST. You don't have to have a blog to participate, but you MUST leave me a way to contact you if you win. Be sure to check out all the other giveaways here. I've been tagged by at least six different people to list 25 random things about myself. I wasn't going to do it, but then I realized that today is the 25th day of January, so why not make it a theme. 1. I could never be a vegetarian. I love meat too much to give it up. 2. I don't like chocolate. At all. And yes, I realize that I'm weird and un-American. I don't really like ice cream all that much either. Sadly, not loving those things hasn't made me skinny. 3. I drive a mini-van named Minnie-the-Van. She's seven years old, but she's paid for! 4. I've been married almost 19 years to my best friend. 5. I refer to myself as a "recovering pastor's wife". My husband was a pastor for years and years and years. Most of those years were good, but there were some rough ones that have left a really bitter taste in my mouth. 6. I am happiest when I am at home with my family of five. 7. Rocky Mountain National Park is my favorite place in Colorado. 8. We're going to Durango, CO this summer...but I still don't think it can hold a candle to RMNP. 9. I want to learn to compost this spring/summer. 10. The 4th of July is my favorite holiday. 11. I love movies. I would watch one every day if I had the time. I especially love independent, artsy films. I recently watched Henry Poole Is Here...and I loved it. 12. The last movie I saw in the theater was The Tale of Despereaux. I loved it too. 13. I'm also a tv addict, but this season I haven't seen one single episode of any of my favorite shows--LOST, The Bachelor, '24', and Friday Night Lights. I'm hopelessly behind. (We don't have a dvr). 13. God speaks to me through nature. 14. I do not like going barefoot. Even in the summer. I usually always have on some kind of footwear--shoes, slippers, flip-flops, boots. 15. I like words. In fact, I see them in my head. Weird, but true. 16. I rarely buy books. I'm a library nerd. I bought a total of three books last year: Twilight, New Moon, and Eclipse. I don't know what got into me. 17. I like my steak rare, bloody even. My family always asks for well-done while giving me funny looks. 18. I love family traditions. I think our family has some really fun ones. 19. I've seen a bear. From a pretty close distance. It was one of the most incredible experiences of my life, and an answer to a very specific prayer. 20. 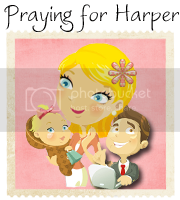 I often think about homeschooling my children. 21. I cry easily. And I'm okay with that. I'm trying to teach my children that there is no shame in tears or honest emotion. 22. My husband and I are very protective of our time on weekends. We believe very strongly in rest. 23. Sleeping in for me means 7:30 or 8AM. I made it to almost 8AM this morning. It was wonderful! 24. I would love to go to Africa someday. Specifically, to Rwanda. 25. I sleep every night (even in the summer) with an afghan that my Nana knit for me. I call it my "african"...I don't know why, but I've called it that for years. Okay...here's the final post in the meal planning series. I didn't intend for it to really be a series but it just felt like too much info for one post. 1. What is your method for cooking all that chicken. So simple, really. I just throw the chicken breasts into a pot with some onion, celery, garlic, carrots, salt and pepper (really, whatever you have on hand) bring to a boil, reduce the heat, and simmer for a couple of hours. I don't even cut the veggies up well...just halve an onion, cut off a few stalks of celery (leaves and all), and chunk 'em in your pot. The longer you simmer at a low temp, the more tender your meat will be. Then, just let cool and shred the meat (I use my fingers), divide up into your meal sized portions and freeze. We're not talking rocket science here! DON'T throw away the broth! It's so good and flavorful! I divide it up too and freeze it in ziploc bags or rubbermaid containers. I seem to freeze it in 2 cup amounts...seems like that's a good amount for soups and other recipes. I buy whatever kind of chicken is on sale, but I'm partial to boneless, skinless breasts. The bone-in kind were .99/lb not long ago so I stocked up (bones give your meat/broth a better flavor). I don't enjoy pulling the meat off of a whole chicken so I usually only buy those when I'm planning to roast one, but I think they might be cheaper. Don't know because I don't buy them often enough. 2. What is the time commitment for pre-cooking your meat? I've gotten in the habit of doing this as I'm cooking dinner. For example, I did my grocery shopping last Saturday. We had spaghetti soup for dinner that night, so as I was browning the ground beef for the soup, I just browned the beef for the other meals. A day or two later I made chicken spaghetti for dinner, so I prepped all my chicken at that time. It's a minimal time commitment if you multi-task, and the pay-off is HUGE! 3. What's the deal with Tillamook cheese? I don't know...it's just my favorite brand. It is more natural than some of the other brands (no artificial orange coloring) and it tastes great! I buy either the medium or the sharp cheddar. I do NOT freeze my shredded cheese. Some of you asked me that, but I think you misread my text. I use my food processor to grate it all at once and keep in ziploc in the refrigerator! The two pound block lasts us at least two weeks, and oftentimes longer. It's such a time-saving step. I don't know about you, but I can't even begin to count the number of times I'd get everything ready for tacos only to realize I hadn't grated the cheese! Argh. I count on having leftovers. John and I usually eat leftovers for lunch each day. I really don't like sandwiches and I prefer something hot for lunch. Sometimes I find myself with lots of leftovers accumulating in the fridge and we'll have "Leftover Night" which usually means that we each eat something different and I get the night off from cooking. If we don't end up eating everything, I freeze what I can for another meal. I try very hard not to waste food. At the end of the two-week meal plan period, if there are meals I haven't prepared, they just get added to the next two-week rotation. 5. Do you ever double the recipe and freeze for later? Absolutely! Soups, chili, and casseroles are easy to freeze. Line your baking dish with heavy duty aluminum foil, leaving 4-6 inches extra on the sides of dish. Pour casserole into foil lined dish. Seal the foil tightly. Freeze. When frozen, remove frozen casserole in the foil and return to freezer. When ready to bake, place thawed casserole (in foil) back in dish and cook. NO CLEAN-UP--just throw the foil away!!! 6. Any great crock-pot recipes to share? Here are some slow cooker recipes from my recipe blog. 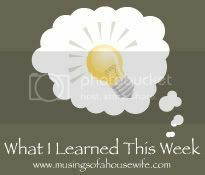 Susan posted one last week for black bean chili that I can't wait to try, and Carrie posted one for cranberry chicken that sounded good too. Most soup recipes can easily be adapted for the slow cooker. If you have loads of time on your hands, you can sort through the 100+ links at Boomama's Souptacular Crockpotalooza. If you have a great crockpot recipe you want to share, leave me a link in the comments. 7. What kitchen tools do you think are essential? That's hard. SO many to choose from. I use my large, heavy, non-stick skillet (Calphalon One--a gift from John a few years ago) almost every day. My large stock pot sees lots of use too. Good, sharp knives and cutting board(s). Ali asked about the food processor...honestly, I really only use mine (pictured above) to shred cheese and to crumble cornbread when I make cornbread dressing. It's nice, but not necessary. What about you guys...what is essential in your kitchen? If you're just now finding this post, you can read Part I here, and Part II here.